We love Bengal cats, "God's kitty canvas" they are works of art as well as playful and engaging friends. So far an 11 year investment that we have given our hearts to these gorgeous cats. 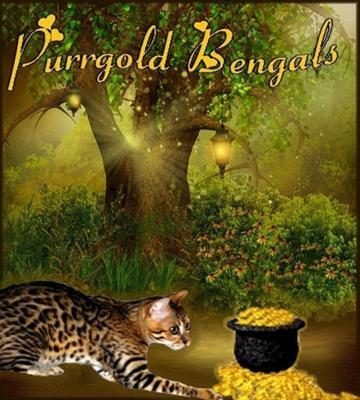 We have Bengals as pets as well as a small breeding program of 2 studs and 5 queens. Our ethics are: Excellent health, responsible breeding, good lineage, kitten socialization, and well being as well as looking into new patterns and unique shadings.